NEW YORK, January 21, 2009 - Ashutosh Varshney, Munir Akram, and Nicholas Platt discuss steps needed to improve relations between India and Pakistan. NEW YORK, December 17, 2008 - Authors Salman Rushdie, Mira Kamdar, and Suketu Mehta discuss the November 2008 Mumbai, India terror attacks. Video Excerpt: Salman Rushdie discusses the "placement of the roots [of the attacks] in the concept of justice" and the condition of Kashmir, during a discussion at the Asia Society, Dec.
NEW YORK, December 16, 2008 - Islamic art scholars Oleg Grabar of the Institute for Advanced Study, and Glenn D. Lowry of the Museum of Modern Art, discuss what makes calligraphy art. NEW YORK, December 16, 2008 - Undersecretary of the Treasury for International Affairs David McCormick on the threat posed by the financial crisis and how countries have begun cooperating to counter its effects. Video excerpt: US Asst. Sec. 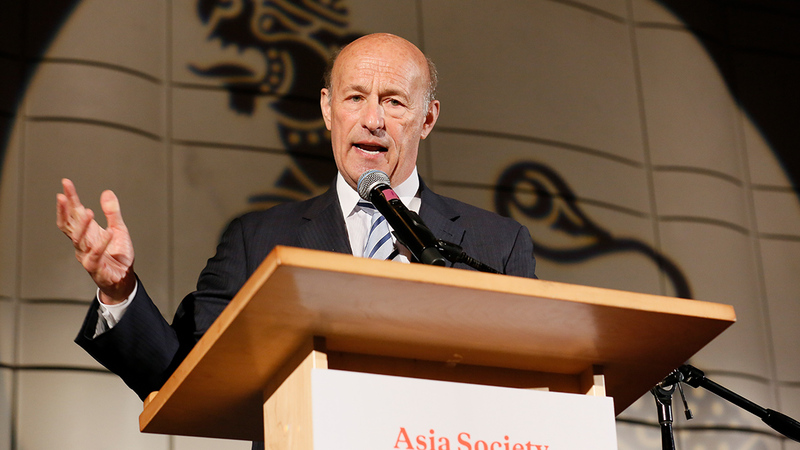 of State Christopher Hill explains how North Korea can benefit from "giving up its 30 kilos" of plutonium during his talk at the Asia Society Washington Center, Dec.